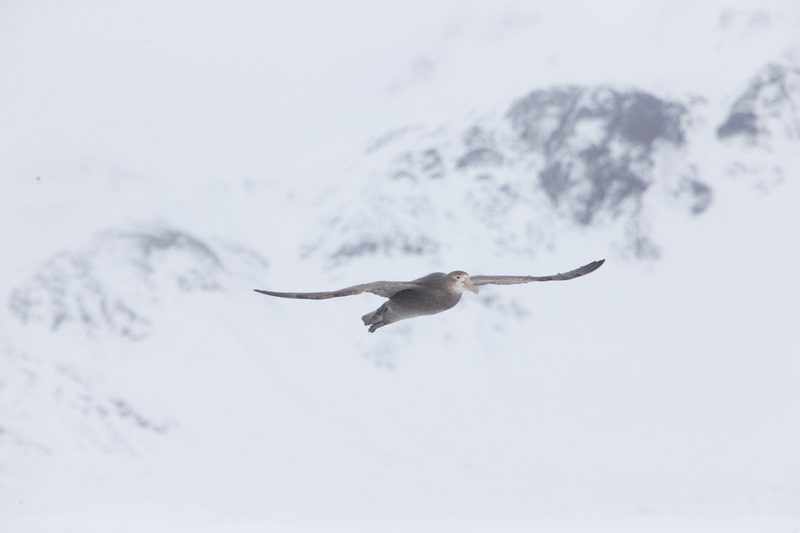 On a Wing and a….. I not a birder. 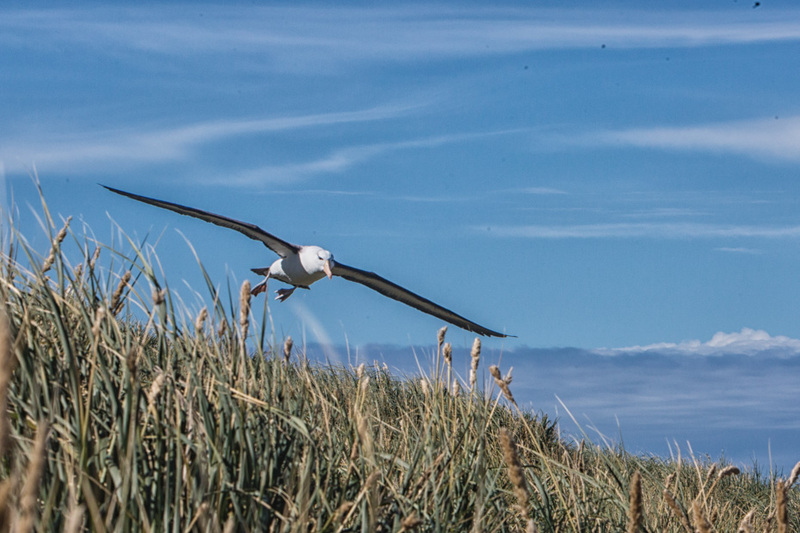 I worked on my skill at shooting birds in flight during this trip but I don’t have a “life list” of birds I’m trying to see and/or photograph. 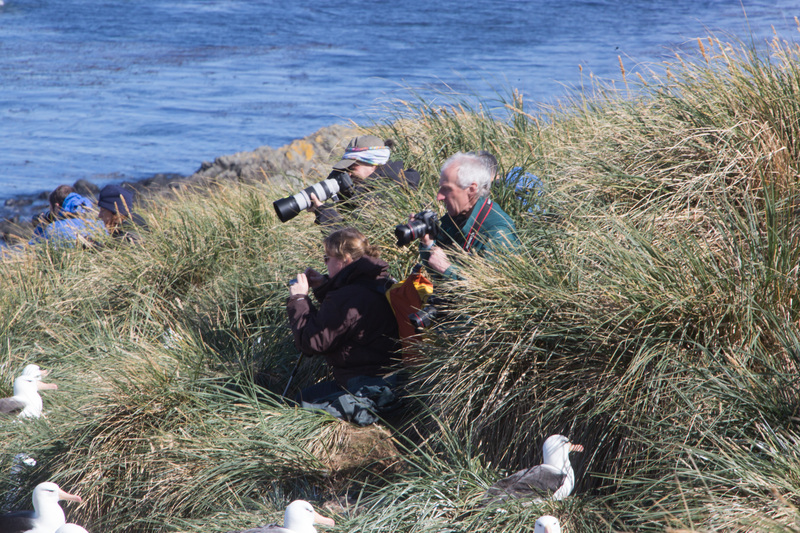 I know a lot of people are birders. I met a lot of them on this trip. 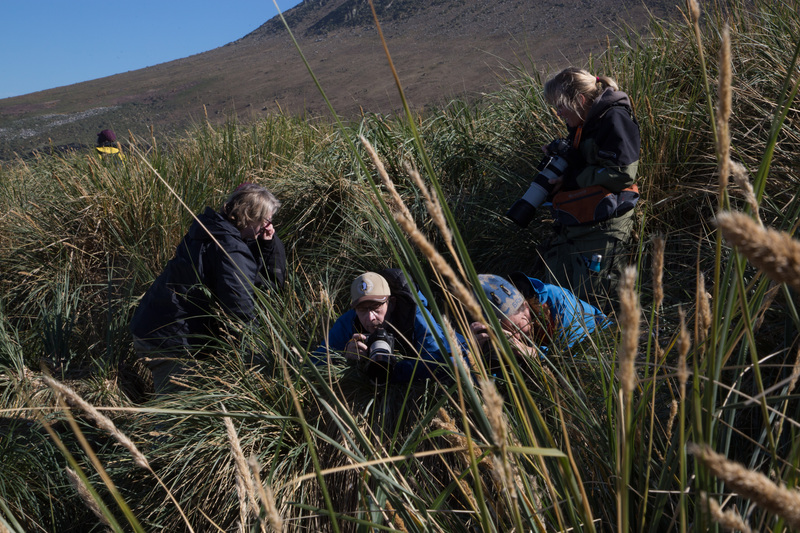 Some came with lots of powerful and expensive cameras and lens and others with very simple equipment. Everywhere I’ve had the good fortune to visit has had birds that were unique to that area. I like seeing them. I like photographing them. 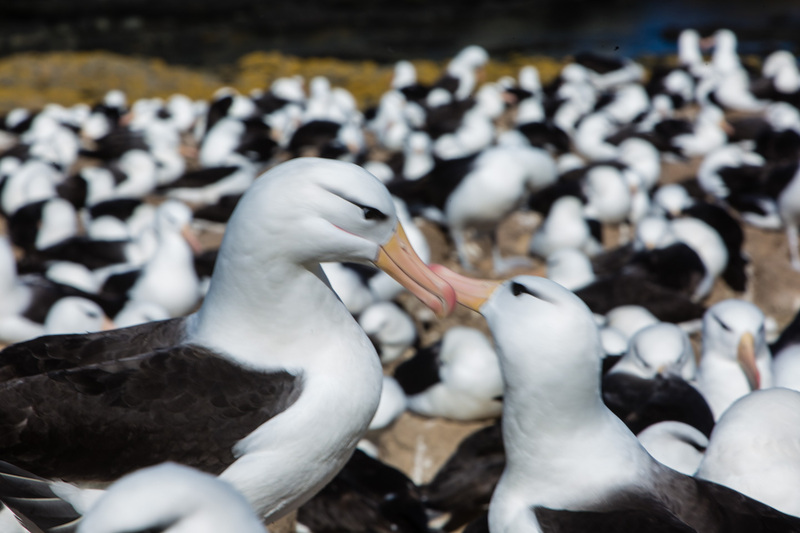 Our tour leaders would often tell us that on this island there is a colony of black-browed albatross or northern royal albatross or southern royal albatross. 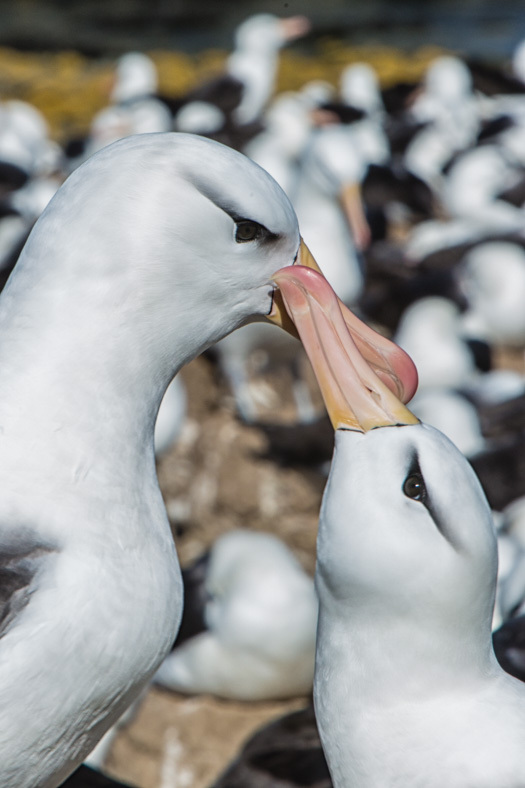 My heart didn’t skip a beat but I have to admit, seeing approximately 250,000 pairs of black-browed albatross in place one is pretty darn impressive. 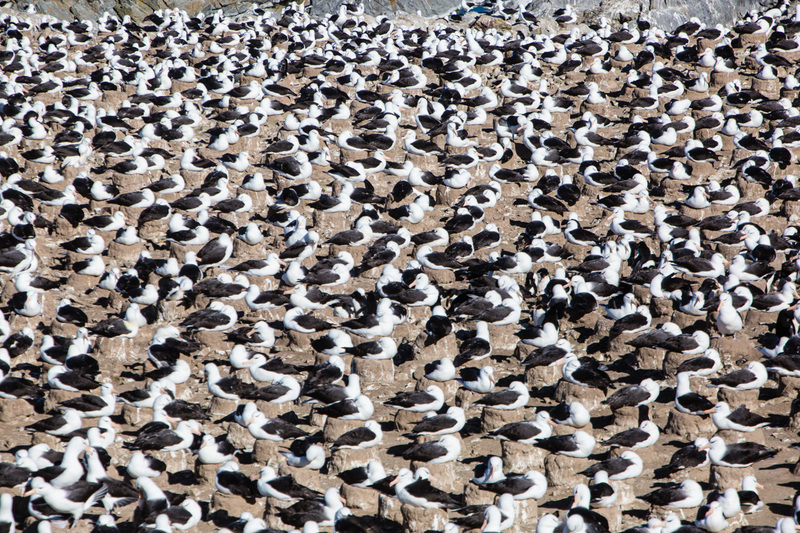 This is on Steeple Jason Island in the Falklands. This photo doesn’t show all of them. It’s still a pretty good crowd! That little bit of black over the eye is how it earned it’s name. 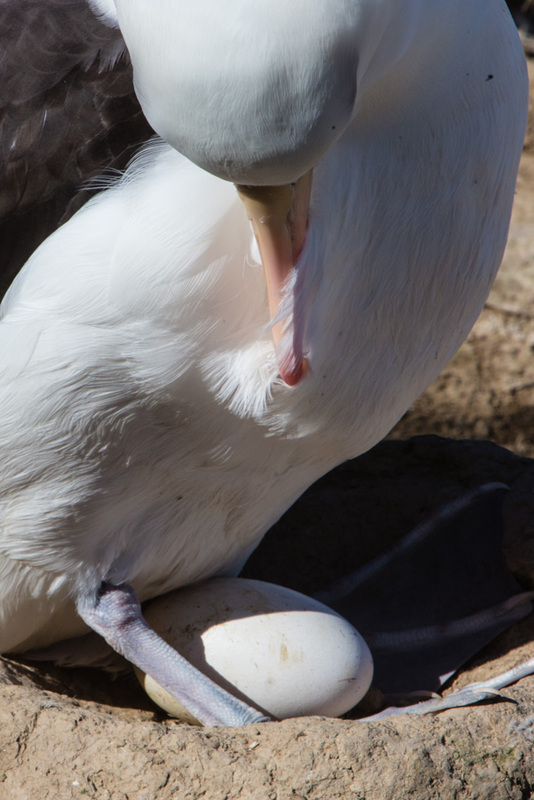 Here’s a couple sitting on eggs. Here are a few that are courting. 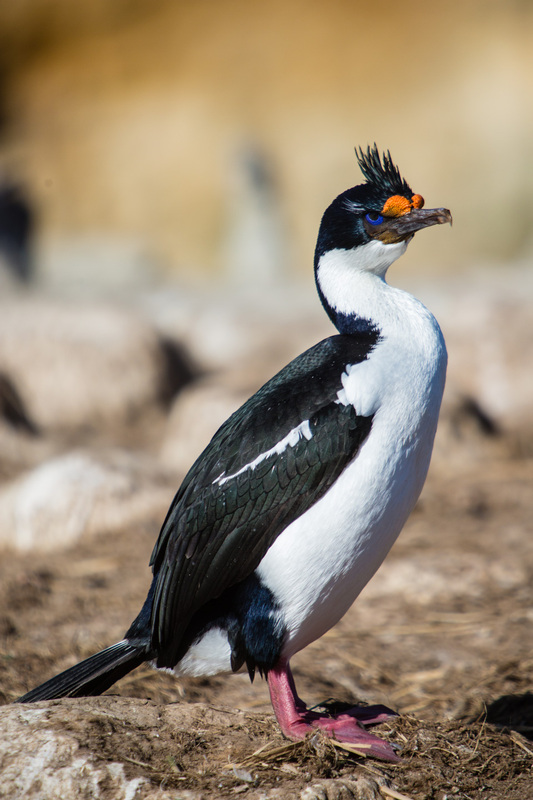 Here’s another interesting looking bird. 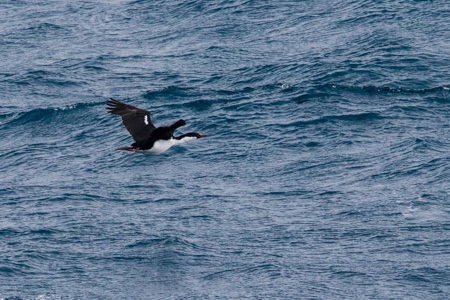 It goes by several names including rock shag, imperial shag, blue-eyed shag. All the birds on South Georgia nest on the ground or underground. There are no trees. There is tussac or tussock grass are large clumps or grass, some as tall as 4-5′ that dot the hillside. Birds often nest in and around them. That’s what these photographers are working in. 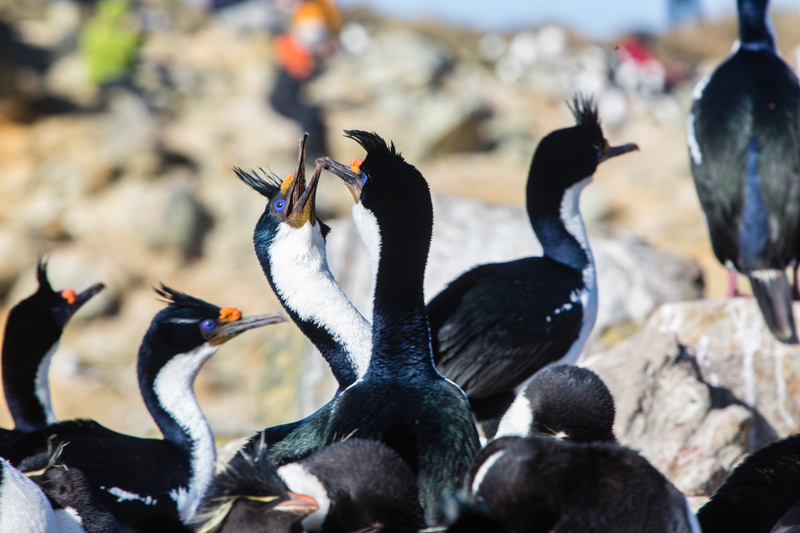 Again these images were captured on Steeple Jason Island in the Falklands. One particular bird, the pipit, nests underground and its existence was threatened by rats. When supply ships came to the islands years ago, they brought with them rats. Those rats multiplied. 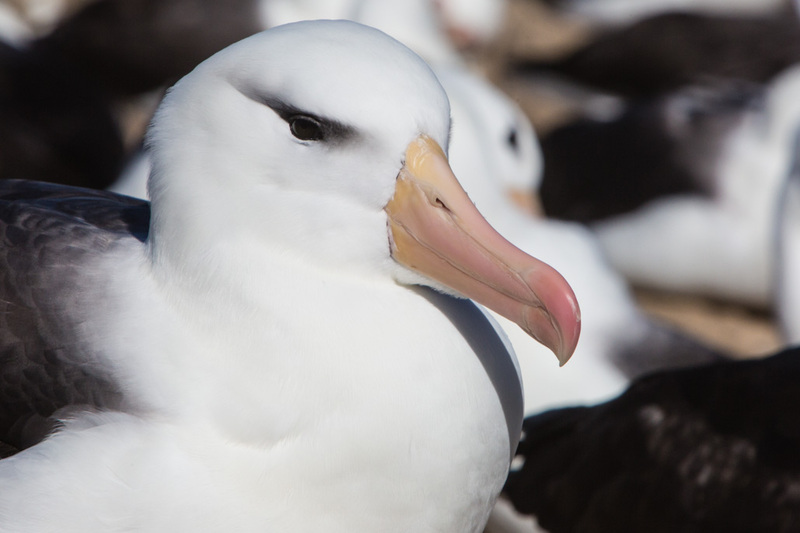 In 2014, a mass rat eradication program began to rid the island of these creatures. 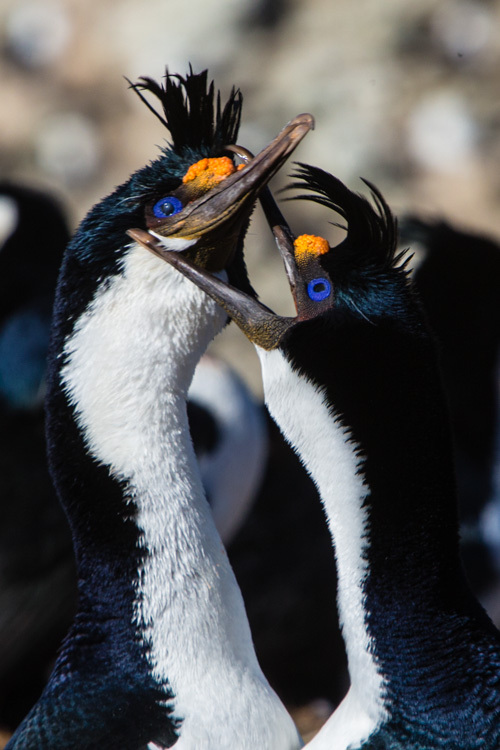 It cost millions of dollars and involved developing a poison that would not harm the other birds, penguins, etc. but would kill the rats. It was dropped from helicopters and spread throughout South Georgia. 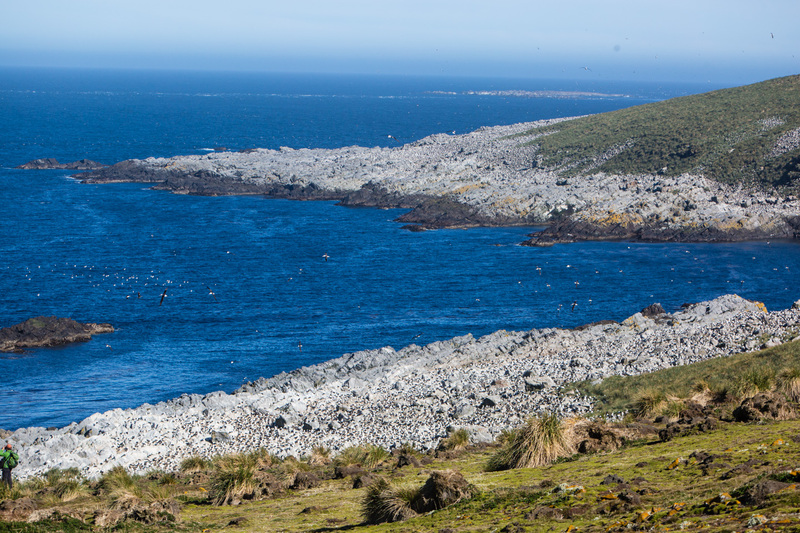 Today, it is believed that there isn’t a single rat on South Georgia Island. The pipit population is starting to grow. Unfortunately, I didn’t get a single picture of one although some others did. 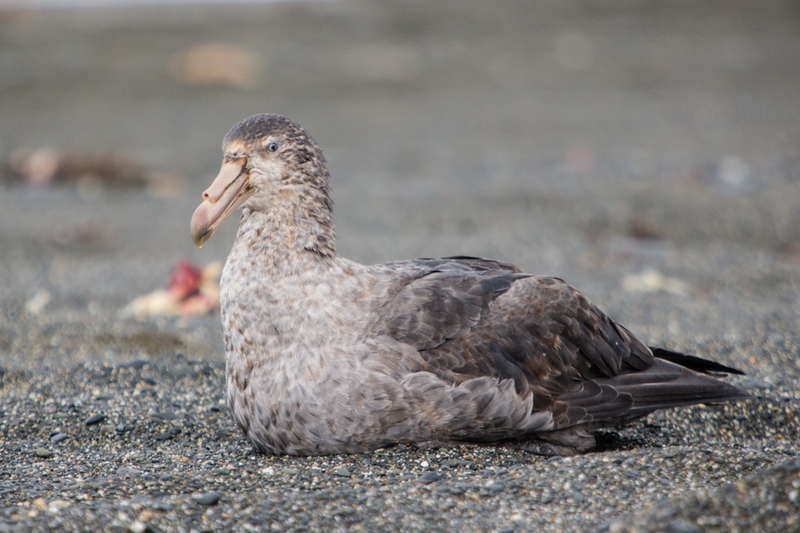 Another scavenger bird here is the northern and southern giant petrel. 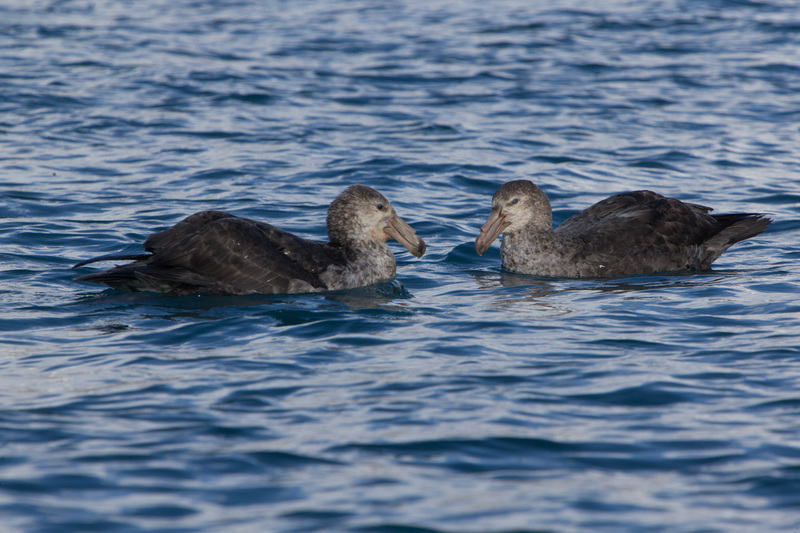 The only difference between them is that the northern giant petrel as a reddish color on the tip of it’s beak and the southern giant petrel’s is green. 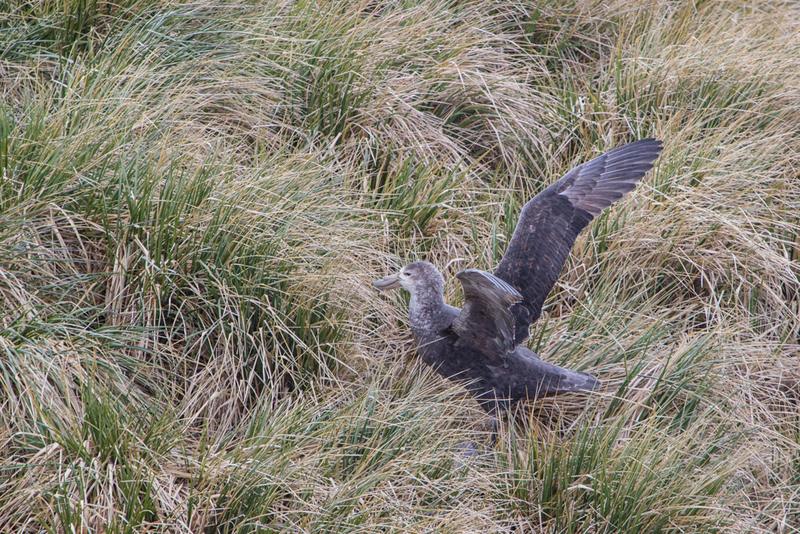 In the picture on the left, it is a northern giant petrel….with a green tipped beak. 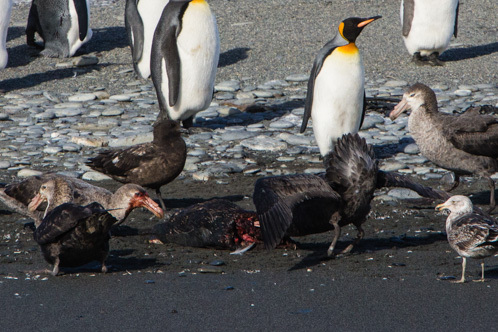 The picture on the right shows them eating a fur seal. 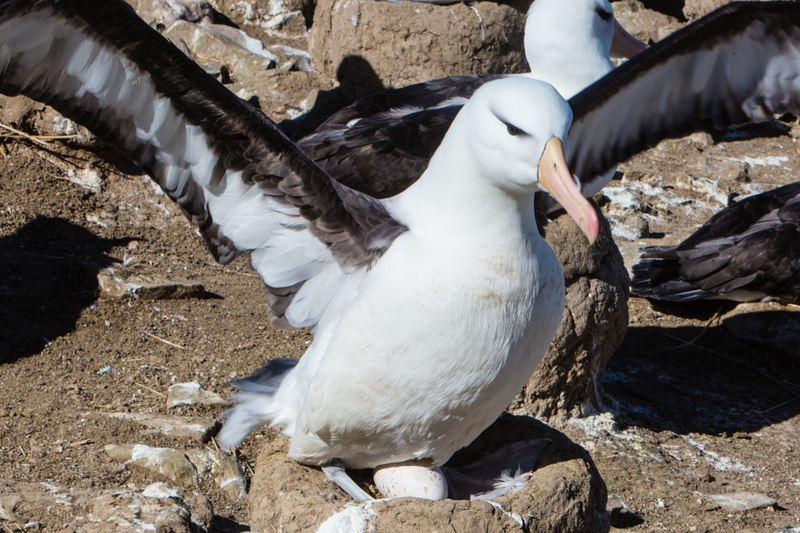 Another bird is the wandering albatross. 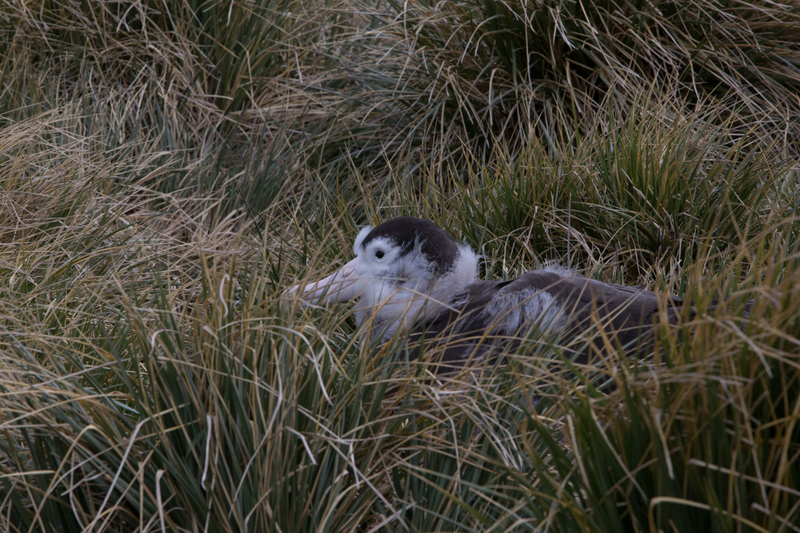 They nest in the tussac grass. Here are a few young ones that are molting. After birth in the summer they stay on the nest for 278 days (no, I don’t know how they know it’s been 278 days but that’s what I was told). 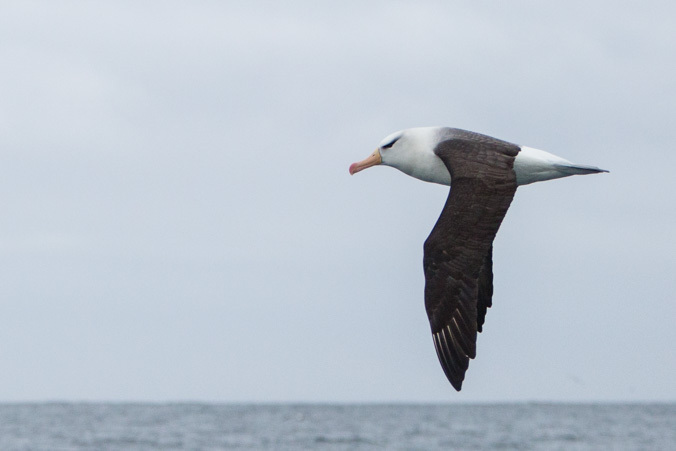 These birds have a wingspan of about 7 feet. 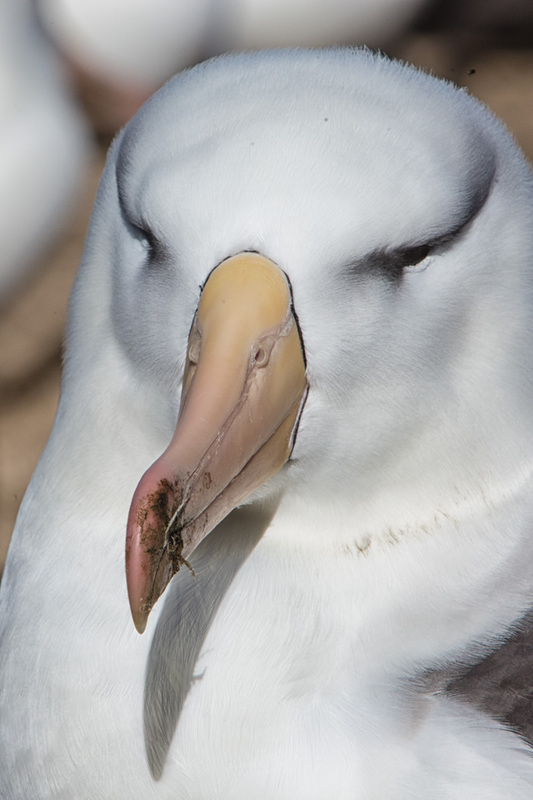 In the next image is the Sooty Albatross. 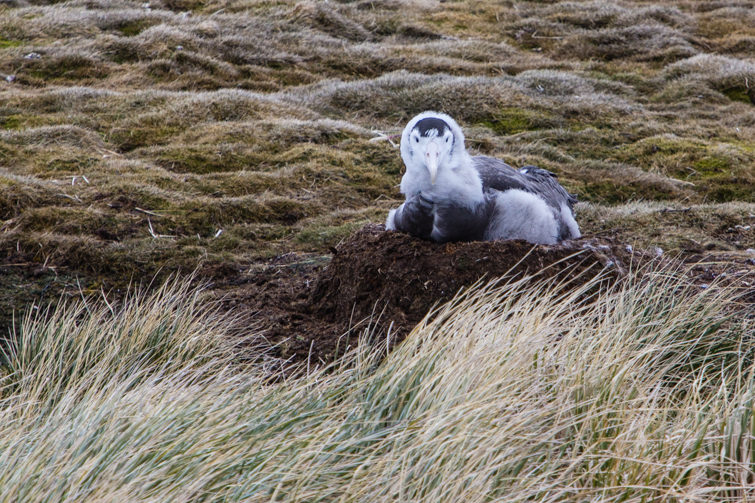 It’s the bird on the upper left in the tussac grass on the cliffside.